Welcome to issue #15! Mike Davis here, editor and publisher. I think you’ll find this issue to be worth the wait. 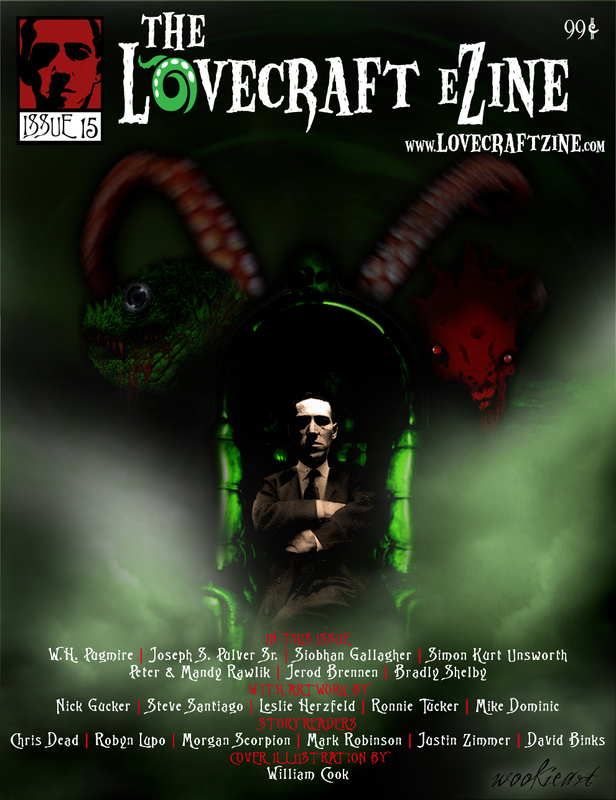 I have six Lovecraftian tales for you, as well as a touching memoriam to Robert Nelson, a suicidal young poet that HPL corresponded with. Some of the tales in this issue are, in my opinion, the creepiest published here yet. Enjoy issue #15. The cover art looks nice. Makes him look like a late night monster movie show host. I reckon he wouldn’t appreciate it, but I suspect he’d enjoy it in some twisted way. Really have to say bravo to the artists involved in this months issue. Nice work folks!